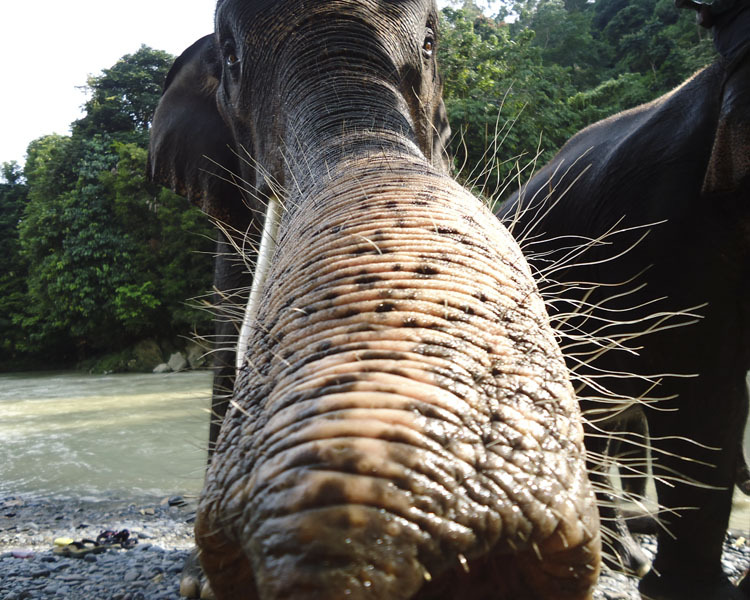 An elephant checks out my camera in Tangkahan, North Sumatra. Located on the edge of Gunung Leuser National Park, Tangkahan offers elephant trekking and hiking to visitors as part of an eco-tourism campaign to preserve the local forests. When they aren’t giving rides to tourists, the elephants patrol the park with rangers to prevent illegal logging.